Reach Out and Read (ROR) delivers books to children who wouldn’t otherwise receive them. The program model for Reach and Read is for pediatricians to give books to families during well child visits from birth through age five. In pediatric exam rooms nationwide, pediatricians provide new books to children and advice to parents about the importance of reading aloud. In many cases, this will be the first book that a child owns. 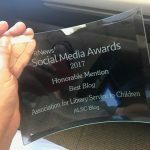 That’s because Reach Out and Read serves many children in poverty, some whom have no books in the home and have barriers to accessing library services. Oral vocabulary is the number one predictor of school readiness. Considering that 80% of child’s brain is developed by the age of three, talking, reading and singing to children is the best way to help them develop the brain connections they need to be successful in school and beyond. 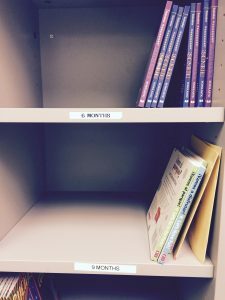 Public libraries offer free books for borrowing and pediatricians see children at infancy. Reach Out and Read, and the Public Library are natural partners. Many ROR coalitions have begun to work with their local libraries in various ways, including providing families with library information at the clinics, library referrals, training librarians on the ROR model, providing transportation to the library, and having the library branch in the clinic! While the last solution would be great, it is not feasible for the majority of ROR sites. 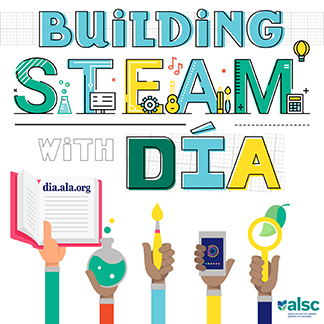 The aim of the above initiatives is to increase library access by decreasing common barriers to library use, including lack of information about library programs, lack of transportation, mistrust, concerns about legal documentation, the belief that the library is not for children, etc. 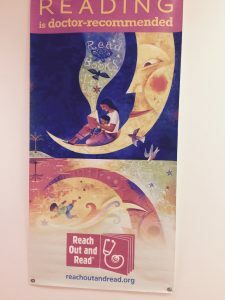 The Illinois ROR Coalition, in partnership with the Chicago Public Library, is developing Reach Out and Read at the Library, a unique initiative focusing on creating this type of personal connection between local librarians and ROR coordinators throughout the city of Chicago. The initiative will bring ROR coordinators with a children’s librarian near the clinic so that each pair can figure out what their needs are and what they each should offer. The coalition will present the pairs with different suggestions for working together. It is these personal connections that will allow us to have a lasting effect with this initiative, and hopefully reduce the disparity in school readiness amongst the poorest children!